The intelligence and measured approach of doctors is respected in so many areas but totally disregarded by the government when it inconveniently conflicts with their damaging agenda. It speaks volumes that a body of people who usually keep their collective heads down feel that in 2016 they had no choice but to strike. Day in, day out the staff in our NHS go above and beyond to provide the best service to their patients. Day in and day out they are being asked to do more with less. 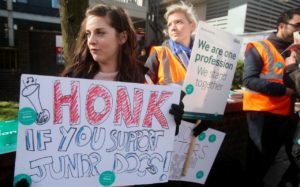 The latest NHS staff survey available (from 2017) shows that around three quarters of staff (71.7%) are still working additional hours, with 58.3% working unpaid overtime. Unsurprisingly in light of the staffing crisis, there has been little improvement in this area. Figures from 2016 show the equivalent figure was 59.1%. 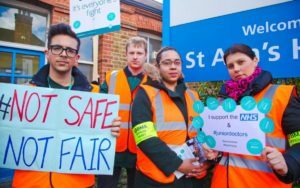 The NHS is unfortunately now in the situation of relying on the goodwill of its staff to keep it afloat, and this shows no sign of abating any time soon. 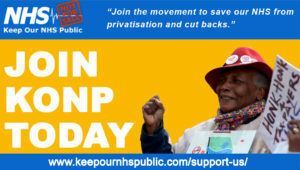 There’s no doubt in healthcare professionals’ minds – the NHS is being stretched to the limit. Exhaustingly long days where you’re discouraged to exception report leave doctors’ physical and mental health in jeopardy. Not only are patients waiting hours in A&E because the system is so overwhelmed, they’re waiting days for scans and weeks for nursing home placements or rehabilitation beds. Messages from NHS managers become focussed on patient flow rather than patient safety and the pressure is felt at all levels. 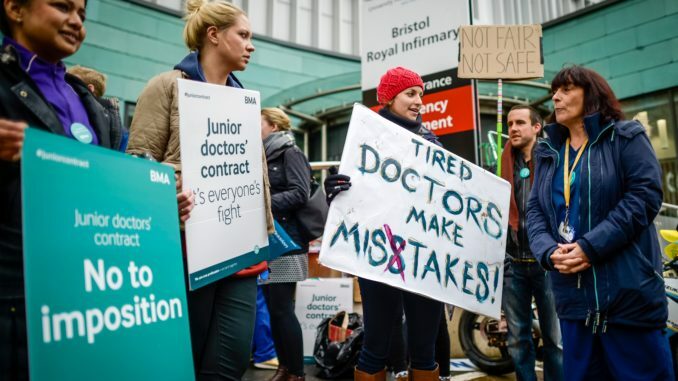 I think it is a scary time to be a junior doctor or indeed, a patient. What of the government’s much promoted long-term plan? Will this be the answer to the NHS’s prayers? Sadly not. Regardless of how one chooses to spin the figures, it does nothing to address the workforce recruitment and retention crisis which is a key challenge of delivering safe and sustainable healthcare. Chris Hopson, the chief executive of NHS Providers, which represents hospital trusts, has warned ministers that the NHS long-term plan cannot be delivered without a huge increase in staff. I think I can make a relatively confident prediction…that everything in this plan is not going to be delivered, there is simply too much to do for the money and workforce we have available. What effect does this have on morale? In Wales a government run organisation exists to support doctors suffering from mental ill health but in reality, clinicians are often too worried about confidentiality being breached to utilise it. 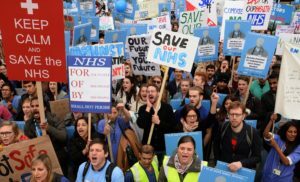 In England the only truly anonymous support for doctors run by the government is still not available outside of London. The lack of decent, available and trusted support is shocking, especially given the working environment NHS staff are expected to endure daily. Adding to this philosophy with an NHS staffing crisis whilst simultaneously being ignored merely compounds matters and serves to create further resentment and dissatisfaction amongst the workforce. It is a dereliction of duty by this government to not care for its carers, but instead to ignore their legitimate concerns and pleas, attack them when they voice their fears, and in doing so to turn their backs on the very people our society relies on the most. This (and many other negative impacts on ordinary people) stems from the anti-social nature of the capitalist system.